EDITORS AND PRODUCERS: High-resolution images and HD video of the Ushindi program are available upon request. 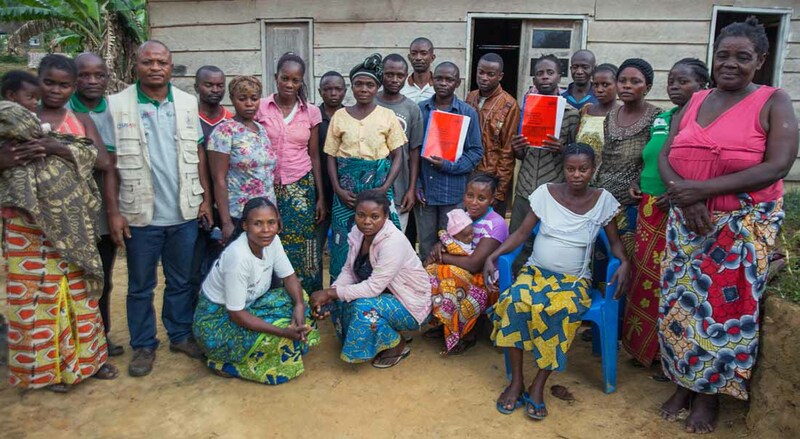 The U.S. Agency for International Development has selected IMA World Health to build on the success of the groundbreaking Ushindi program under a new cooperative agreement, aimed at preventing sexual and gender-based violence in eastern Democratic Republic of Congo. “We have seen the difference Ushindi has made in the lives of survivors struggling to recover from the horrors of violence, and are thrilled we can continue this important work,” IMA World Health President and CEO Rick Santos said. Ushindi, which means “we overcome” in Swahili, combined short-term urgent medical and psychological care with long-term interventions that address broader issues such as changing cultural attitudes to violence and promoting peaceful conflict resolution, de-stigmatizing and reintegrating survivors in communities and legal assistance. The effort directly assisted nearly 30,000 survivors of SGBV since its inception in 2010. The new, $15 million effort will begin operating in March as the USAID Counter Gender-Based Violence Program. The new project expands to cover new areas in the next five years. With overarching project goals to strengthen community-based prevention of and response to GBV; effectively reducing GBV incidence and improving the quality of and access to holistic care for survivors, particularly among vulnerable groups. “Expanding this project will bring critical, lifesaving and sustaining support to people who need assistance in an area where conflict is common,” Chief of Party Dr. William Clemmer said.